Pick your color, pick your style. Mix and match styles and colors. Have FUN!! call or email me to discuss your order. Due to the natural characteristics of mutli-colored art glass, color and pattern variation will occur. Lead-free solder is used on all earrings and pendants. Earring measurements do not include the ear-wire. 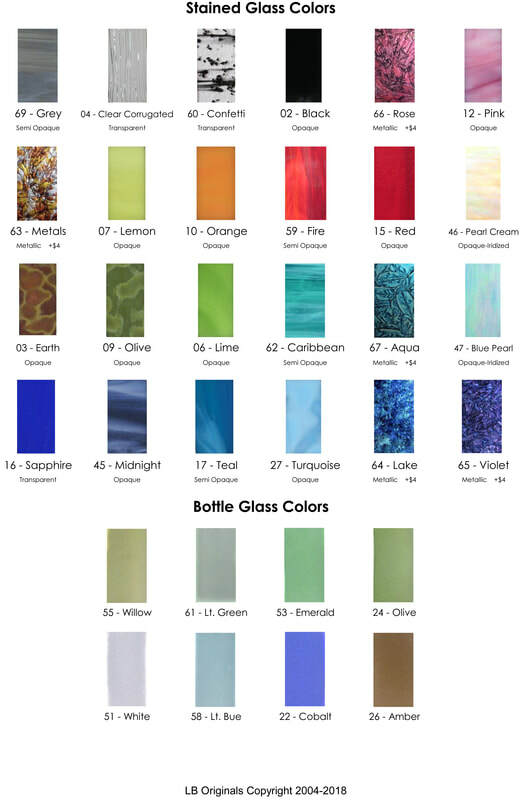 All styles are available in all colors shown on the Glass Color Chart. Due to the nature of working with salvaged materials, graphics and color may vary. "Silver" ear-wires are either stainless steel (plain) or sterling silver (coil above the hoop). "Black" ear-wires are plated brass. All ear-wires are lead-free and meet the EU Nickel Directive. Shipping is via Priority Mail. 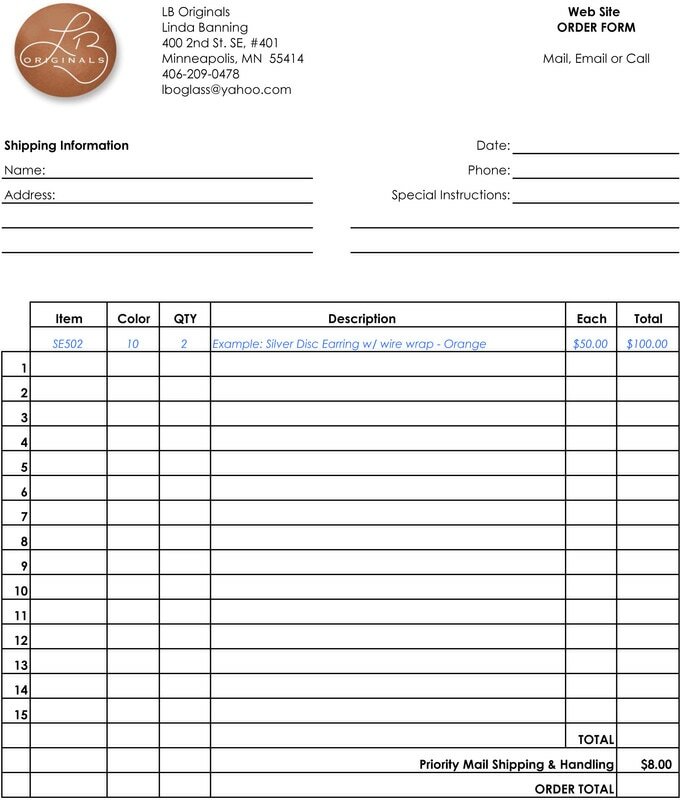 Invoicing is done via Square online. Payment is due in full prior to shipping.